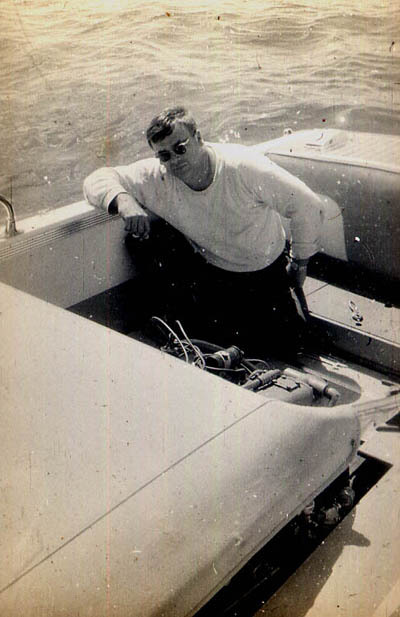 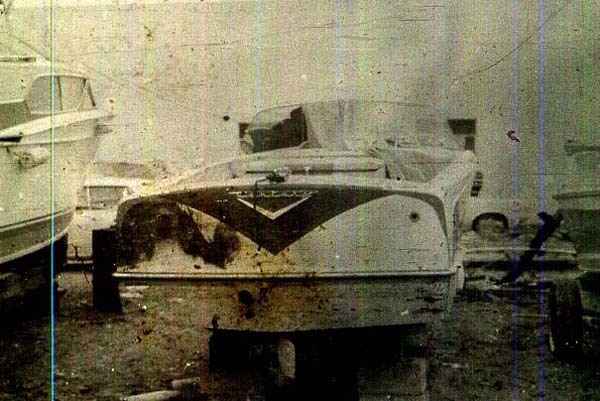 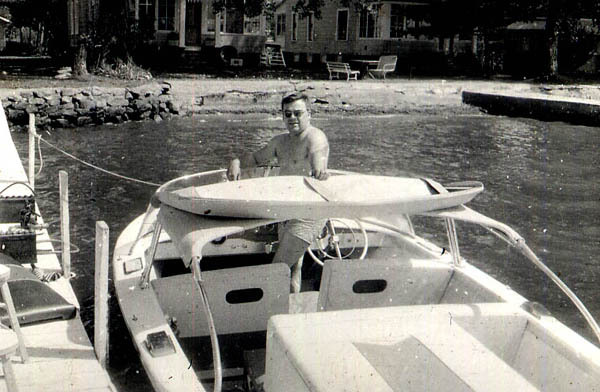 1968 photo after the boat was damaged by a fire. 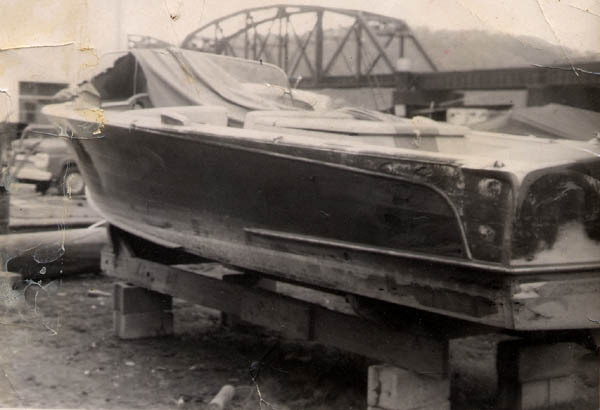 The transom and several other planks were replaced at this time. 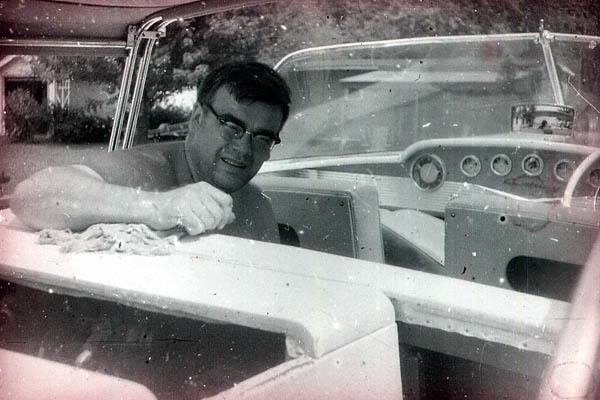 In 1969 making ready for the water. 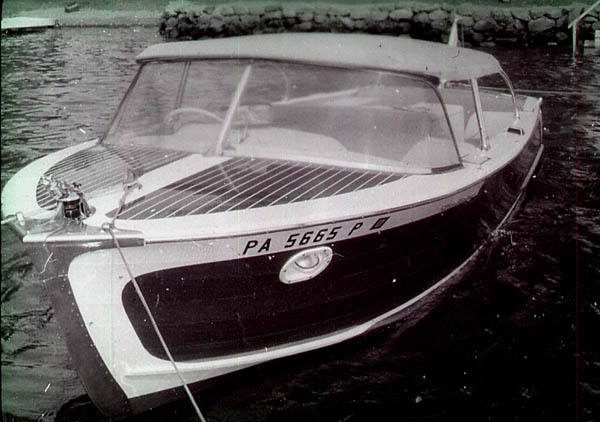 1969 in use with a folding softtop, the dock lights have been airbrushed out of this photo. 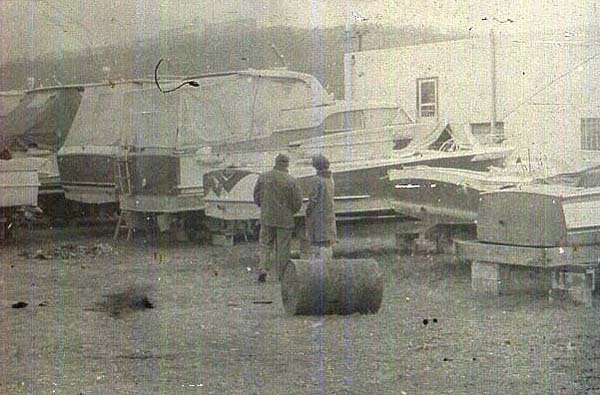 Mid 1980s in storage. 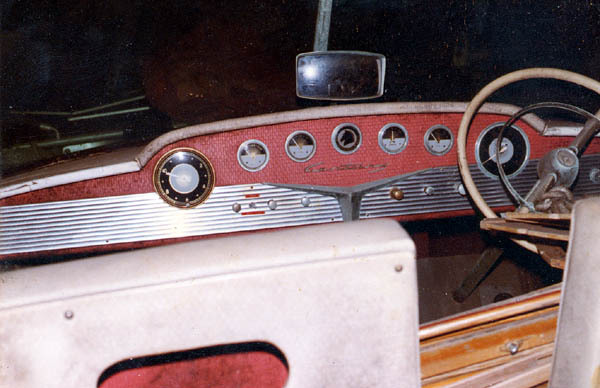 The hardtop and 250hp Cadillac engine were installed in 1970. 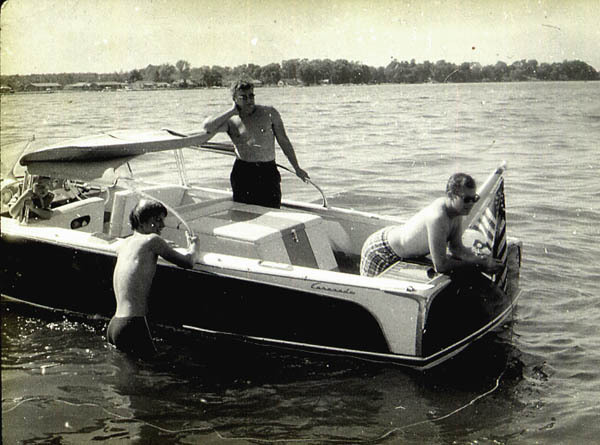 The boat was used until minor damage loading it on a trailer during a flood in June of 1972. 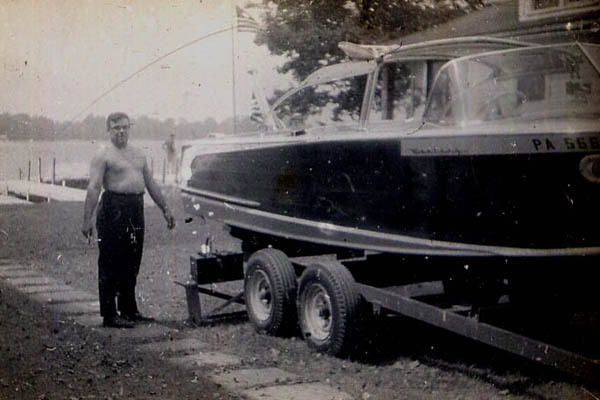 The boat then was set outside for a few years. 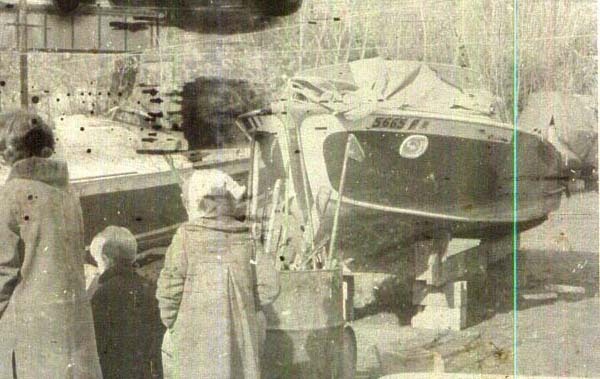 The boat was reaquired in 1974 and was placed in storage where it remained until the restoration was started. 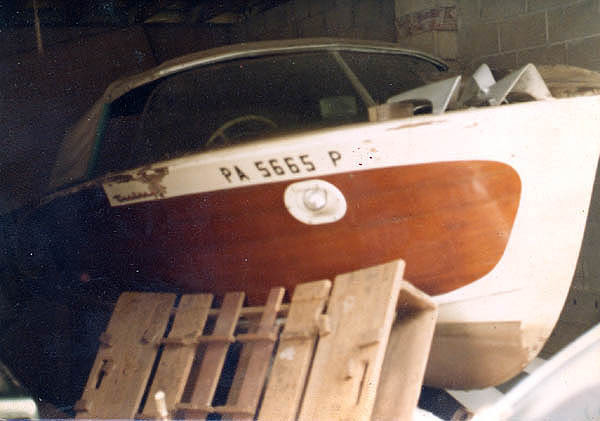 The restoration actually started in 1985 when the boat was stripped. 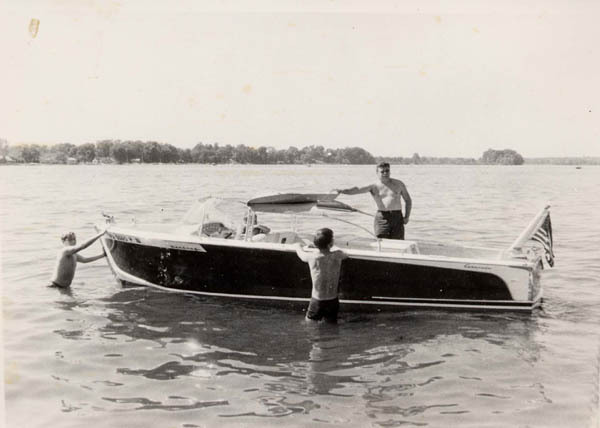 Then it was moved around a few times for storage reasons. 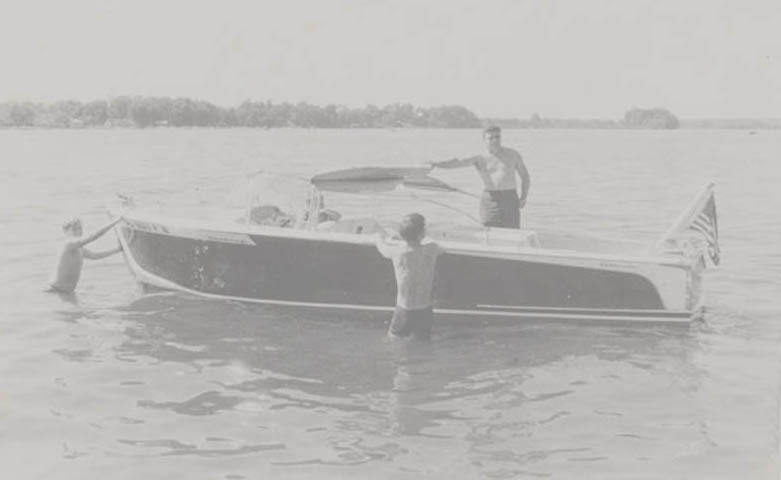 Click here to see the current restoration photographs And more history of this boat.